Personal injury firm represents husband and two minor children left behind by deceased. Chicago, Illinois: The Law Offices of Parente & Norem, P.C. have filed a lawsuit on behalf of a widowed husband after Advocate Lutheran General Hospital allegedly breached its duty to exercise ordinary care for his expectant wife. On March 29, 2016 around 4:00 PM, the Plaintiff’s wife, who was 32 years of age and 21 weeks pregnant at the time, was admitted to Lutheran General hospital with a fever, chills, coughing with pain, difficulty breathing, elevated heart rate, and elevated fetal heart rate. She was later discharged from Lutheran General on the same day, March 29, 2016, at approximately 7:00 PM with a diagnosis of the flu. No chest x-rays or laboratory testing was completed during her stay. Just 2 days later, on March 31, 2016, at approximately 8:30 AM, the Plaintiff’s wife was admitted to Lutheran General Hospital again, complaining of the same symptoms as March 29, 2016. At approximately 9:00 PM on March 31, 2016, she was pronounced dead due to septic shock, cardiogenic shock, and influenza A pneumonia with streptococcal bacteremia. 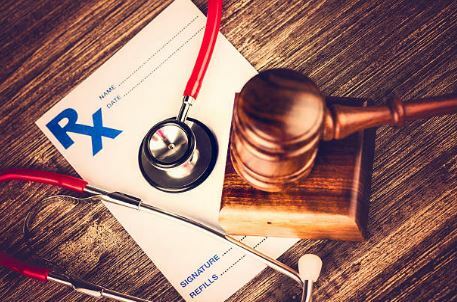 Allegedly, had pneumonia been a part of the differential diagnosis, the Plaintiff’s wife would have been admitted to the hospital on March 29, 2016, and she would have started to receive the treatment needed to save her life. The lawsuit was filed in the Circuit Court of Cook County, Illinois with the Law Division.